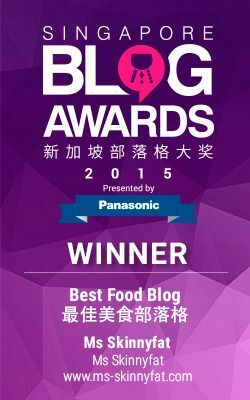 I'm always wary of fusion food because many restaurants in Singapore don't do them well. Luckily for us, there's LP+Tetsu, starring Michelin-starred Laurent Peugeot (of Le Charlemagne) and Tetsuya Yoshida (of Tetsu), to provide us with their modern twist on French-Japanese food. Fine dining it is supposed to be, as evident from their no shorts and slippers policy (they should be banned everywhere other than in coffee shops) but the modern environment felt pretty relaxed. The friendly staff were attentive and accommodating to my photography needs and the plates were subsequently placed under the light after they noticed me shifting things around to get a better shot. Brownie points +1. 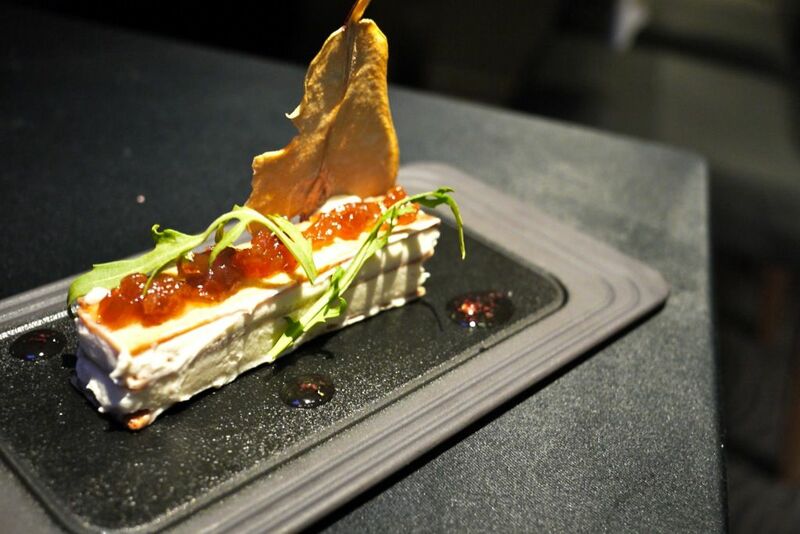 We did the 6 course Simply LP+Tetsu menu ($98) and the 7 course Wander and Savour menu ($138). What i love about LP+Tetsu is that they really honor what fusion cuisine is about. Each dish was carefully crafted, bearing in mind the different flavors and how they could complement each other to bring out the best taste and sensations. This is present in every dish that we tried and i was thoroughly impressed with the level of detail. Here are some dishes from the night. Amuse Bouche- Savory filled jelly balls on cracker. 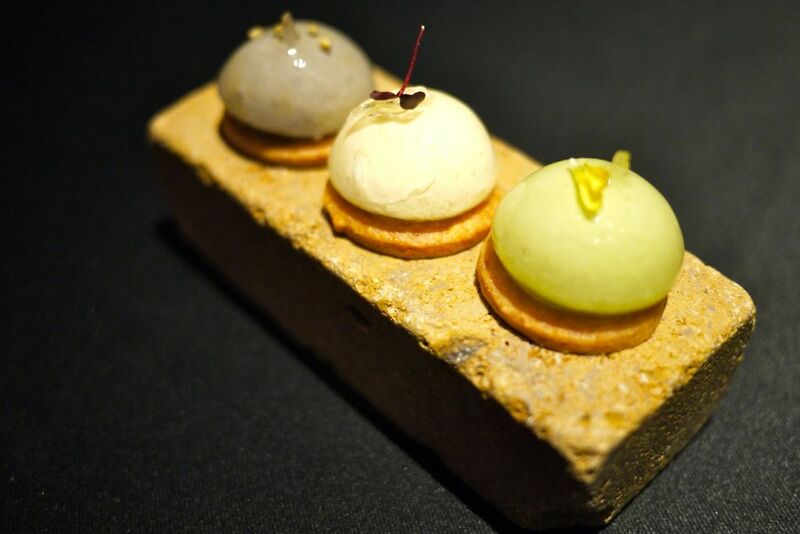 From left to right- Sesame with daikon, corn and green pea. S thought it weird to have savory flavors presented in a dessert looking form but i quite enjoyed them. 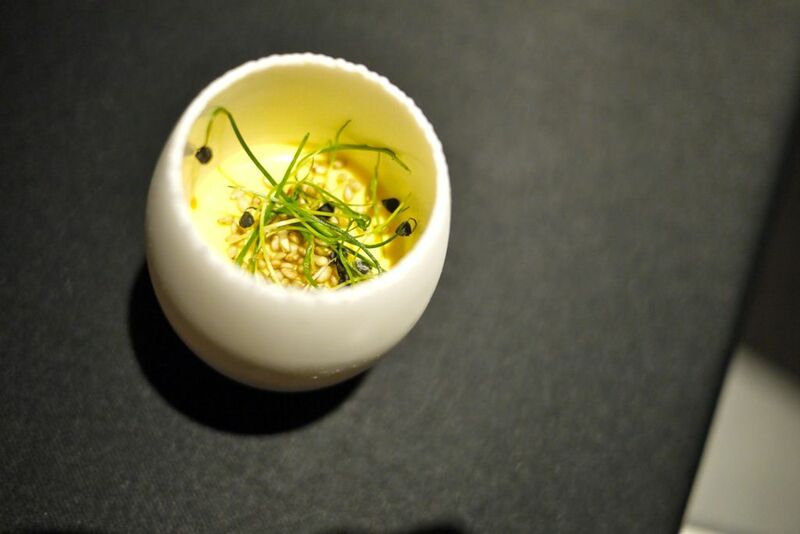 The savory Panna Cotta in a porcelain egg was nothing french other than the texture and the flavors were all nihon. 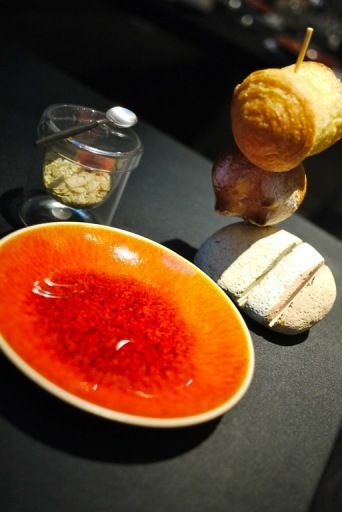 Love the french breads with a touch of nori in the olive oil, served with matcha salt on the side. We were told to compare the flavor of the Duck Foie Gras Hydromel (Honey Wine) Tube when eaten with the lollipop of grilled almond and then with the biscotti slice. 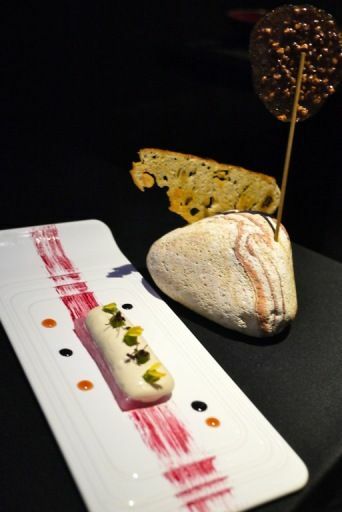 I was surprised at the different pairing as they enhanced different dimensions of the foie gras. 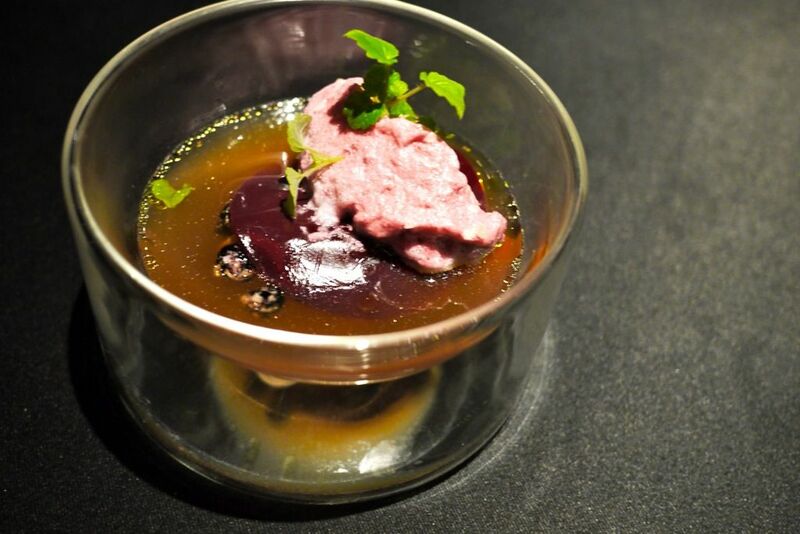 Duck Foie Gras in Shabu Shabu Style- Cassis Pearl, Jelly Translucent and Emulsion Cassis. Salty briny broth with popping candies that reminded me of Jaan, even the bowl it was served in. My favorite dish of the night, the Saint Jacques- a confit scallop with assorted mushrooms. 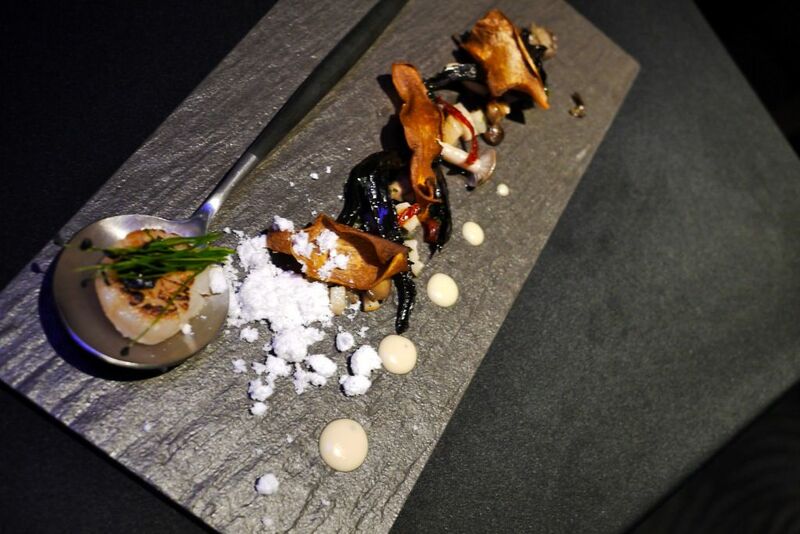 Maitake, shimeji, black trompette, eringi were used and accompanied with truffle Vinaigrette and snow. The snow was amazing with marshmallow-like texture that disintegrated like clouds in the mouth. Bamboo clams seem to be the favorite shell fish these days or maybe i've just been having too much of them. This slow cooked version with sake and white wine miso sat well with this palate. 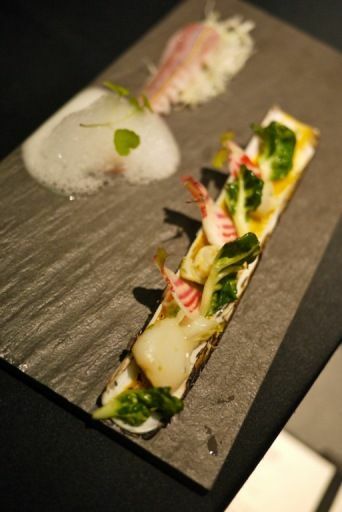 The 63 Degree Organic Egg served with the raw and crispy Amai Ebi failed to impress. I've been spoilt by Julien and how he handles his eggs (read review of Jaan here). Sunshiny orange egg yolk no doubt but flavors were lacking and the ebi was alien to the plate. We weren't too impressed with their meat dishes. 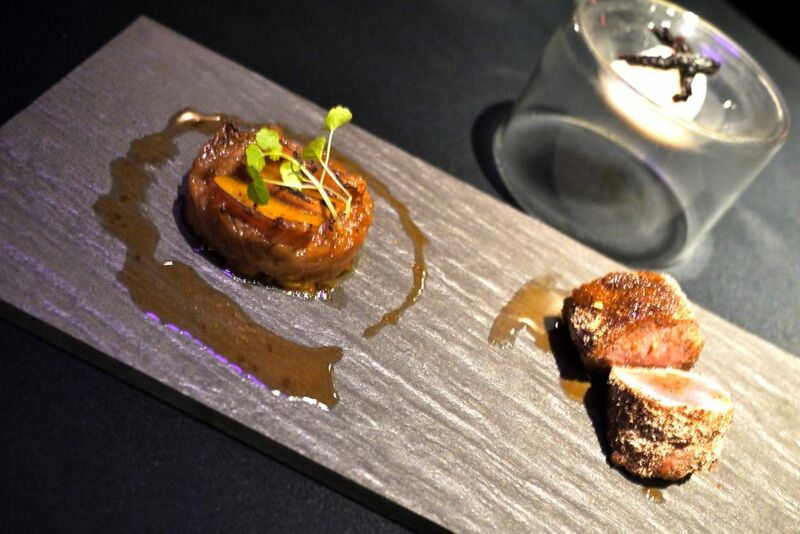 From Simply, the Roasted Lamb Loin rolled in Juniper Berries powder was a mix of blandness in flavors and then the overpowering herby taste of the berries. The Milk Veal Tenderloin was also quite meh. I thought the stuffed Momotaru Tomato with green tea emulsion served on top fared better than the meat. For both dishes, the use of shallots and onion jam also took the attention away from the meat, try as i might not to eat them. Made the mistake of a little taste and i couldn't taste the meat properly after. The cheeses had all my attention. I loved the Epoisses de Bourgogne, a supposedly strong cheese (which was quite alright for me) from Burgundy that was mixed with raisins, wrapped in a pastry skin and deep fried. 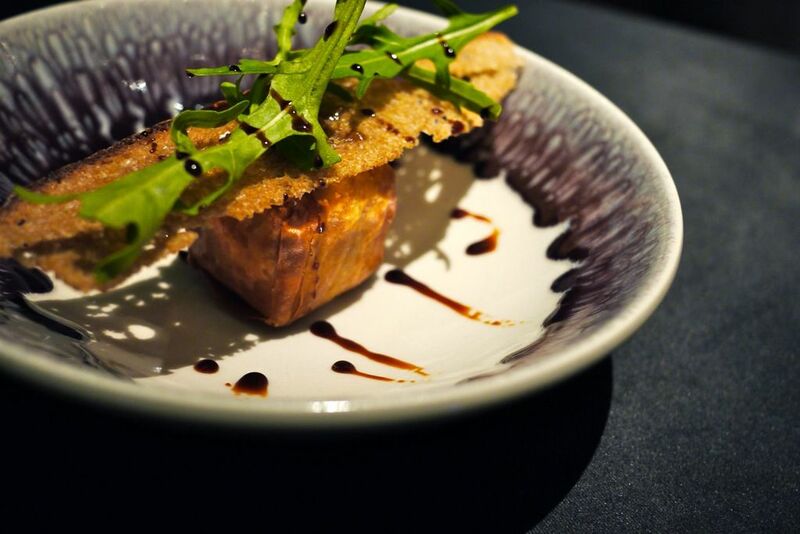 The presentation resembled the Japanese fried tofu but had a creamier and crispier texture. Another perfect sweet and savory dish. The "Croque Monsieur" uses Cheese Saint Marcelin with Mascarpone. There's light pungent and bitter taste at the start which gives way to a sweet ending but i guess the taste kinda grows on you after a while (only if you love cheese). The dehydrated pear was delish however. Had way too many desserts. There was the palate cleanser which was a ume sorbet, followed by a matcha crumble on mangosteen ice cream and then our 2 desserts. 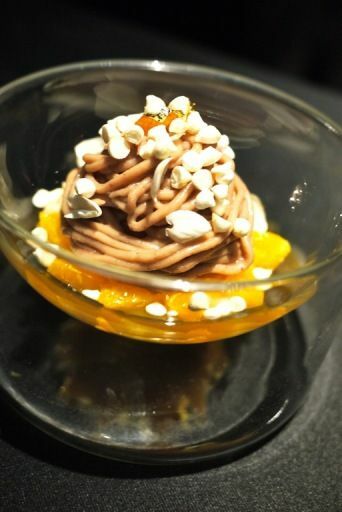 Snow at Mont Blanc in orange jelly, Jasmine petals, Meringue Snow Kinako. I think snow anything is awesome. Give me snow in my food from now on! 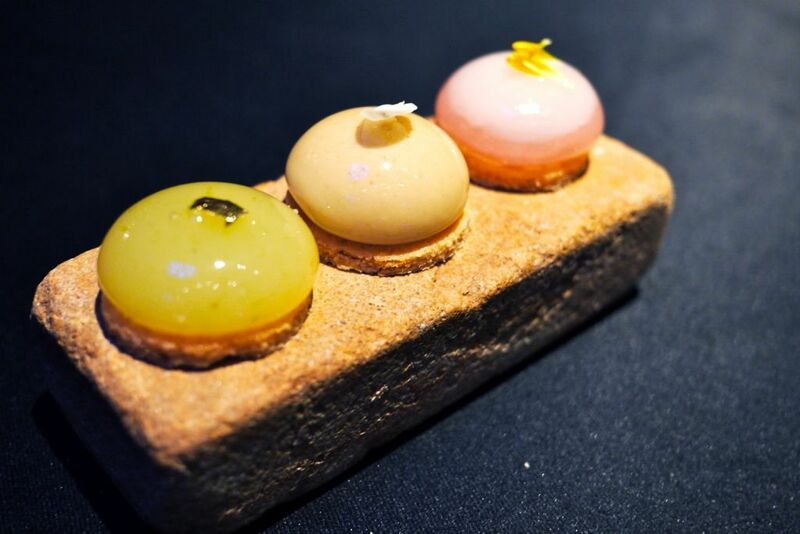 Dinner concluded with the sweet version of the jelly balls this time-Apple martini, sesame peanut and lychee peach. The liquid was less viscous this time and i almost killed myself when the first one exploded in my mouth. S liked these but i preferred the savory ones. So do i like LP+Tetsu? Absolutely. 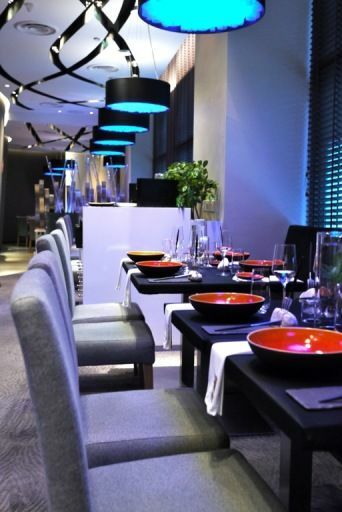 The food is fun and well designed and prepared. Some hits and misses but generally good. Satisfaction level was on the whole about the same as Jaan minus the view and atmosphere. 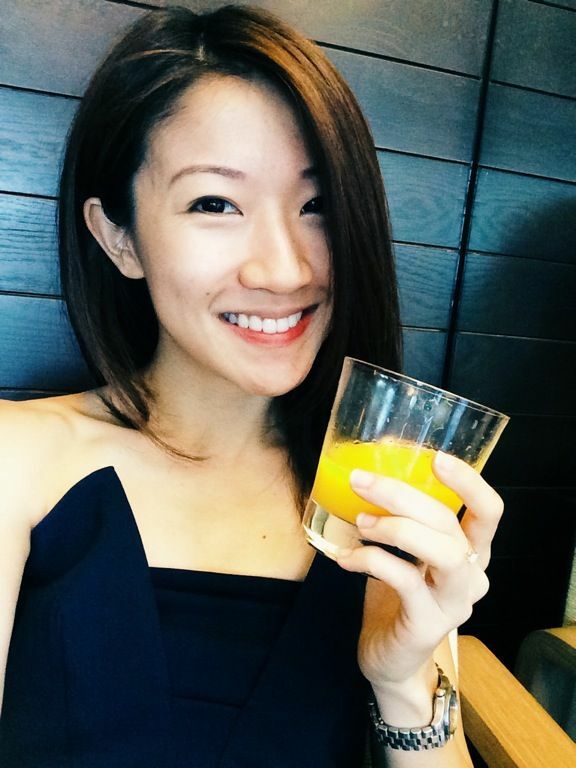 If there's one fusion restaurant that you should go to in Singapore, LP+Tetsu is it.